Very peaceful area, rolling hills and woods. - cleaning: I think the place should not be self cleaned for the cost. In addition the people prior to us did not do a very good job cleaning. If it’s going to stay self clean a better vacuum would be wonderful to really get the rugs clean. The caboose was amazing and the surrounding area is so beautiful! We would love to spend another weekend here. Thank you so much! Picturesque, quiet, peaceful, lots of character! 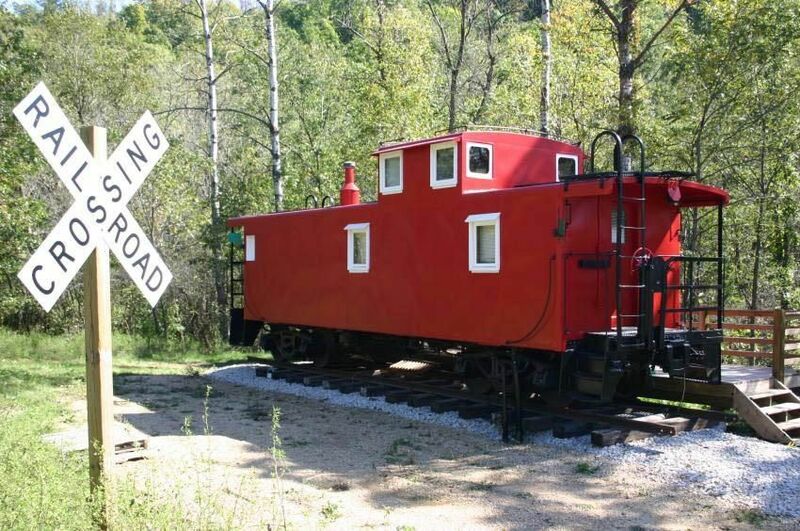 Beautiful, & unique Caboose that was a perfect getaway for 2! Temperature was in the minus, but the Caboose was toasty & the hot tub was a bonus! The setting was absolutely gorgeous! We will be back!! Everything was amazing!!! Exactly what we needed! Definitely a great experience! The caboose was clean when we got there and we had an amazing time! We will be back in the fall! Thanks, sorry the weather has been cold but it is now warming up. C U gain soon! It was definitely a Glamping experience, very peaceful and secluded. Would recommend it to campers that like a kitchen and bathroom.